For some reason the blog did not post today on Halloween - which gives me a chance to post a bonus blog with Meez doing his Johnathan Papalbon Red Sox World Series dance. Enjoy. EDIT - The unabridged version of the Meez dance is the River Dance - done by Red Sox closer Jonathan Papelbon and truncated here by Meez.com to look unfortunately like the "pee pee dance" as Pants on Fire has suggested. When has taunting nature ever resulted in anything good happening? I recently debated my boss about the usefulness of predicting seasonal hurricanes. I saying that even the leading expert is always wrong, he saying otherwise. I get irked when they "reforecast" and when the latest (4th) reforecast (spellcheck does not even recognize this word!) came out a few weeks ago I had to laugh. The original forecast called for 17 named storms, 9 major hurricanes and 5 that would hit the US with outrageous force. I scoffed at what has amounted to a pathetic hurricane season. The latest and most annoying is Noel the androgynous hurricane. Also the 15th. Many of the preceding storms were nothing more than mid-Atlantic burps. With few storms even coming close to Florida, we've been below average for rainfall. It's good for tourism, not so good for the natural world. But Noel is an unwanted guest for me for selfish reason. 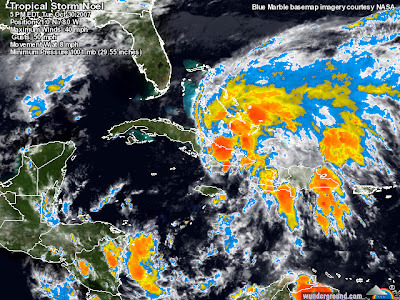 I'm flying to Guayaquil, Ecuador from Miami on Friday and I want this storm to go away now. The only storm to make landfall along the Atlantic was Gabrielle which hit the Carolinas when I flew back from Boston in September. Not a fan of flying in, over or through storms. It's all about me. I'll look on the bright side - the storm should bring more much needed rain and then the quandary of water woes will be lessened and the need for signs like the following (from the Fort Lauderdale Best Western) will be diminished. I still haven't figured out if the State requires that you flush twice or if a second flush is necessitated by the equipment required. Chicken or the egg? If it smells like either - flush it. You have not seen this bird - or maybe you have? It's one of the great rare finds down here and I was lucky enough to see my 2nd Scrub Jay (the first being on a UVM Florida Ecology class in 1993). I also saw my 3rd, 4th and 5th. This is apparently a local colony. Another rare bird endangered by habitat loss. Biologists recently put fencing around an undeveloped residential area to leave the Scrub Jays at peace - searching for insects in and around the grass pushing up through the cracks in the unused roads. I love that. My pig friends are back. Actually mama and three piglets. I stood motionless as they got closer and closer. Mom pig spotted me - squealed and then bolted into the woods. and then bolted out of the woods. And then back into the woods. I squealed in my head and tiptoed past. Coming soon Jungle Pete goes to Ecuador Part 4! On one hand there's the luxurious feeling of well-crushed coral sand between your toes that feels like puffs of powder around your feet and on the other hand there's the sickening feeling of soft earth as it delicately collapses and gives way around your foot as the site of hundreds of ants crawling up your leg sends you into panic mode. It's that time of the year when Brazilian fire ants seem to be everywhere I hike. All it takes is one errant step on their mound and they cling to you and begin heading up. They emit a pheromone that they all respond to so when one says bite - they all bite at once! I've mentioned this back when MaLe was attacked in Key West - the pain of the bite lasts for up to 4 days. It's been nearly 5 days and my bites are still itching like mad. I have about 40 bites, mostly on my feet and they look like little zits. Gross. Lotions and Itch-Aways don't last forever and it hurts enough that scalding water or the idea of sticking my feet on burning coals is tempting. Kids don't try this. Not even in college. I don't want things. I like having as little as possible - just the things I need but I have been programmed to "want presents" on my birthday, Christmas and for some reason Easter. I blame in no particular order my mother, Santa and Jesus. So I had to fight the urge to want and expect gifts on my birthday like I always seem to do, although I am truly content at my age to simply have people acknowledge that I happened to be born on this day of all of the 365 days (or 366 as it were). In fact I'm even content to get phone calls that I will not be receiving a gift. On my birthday I got a call asking to speak to Ma-Le - so I explained she wasn't "here" (which was very much the truth since I was in the Everglades). They asked that she call in the next 5 minutes since they did not have the "Teddy Bear and Flowers" she ordered. I told them she was in Ecuador and the voice on the other end said "Oh - then I am canceling this order". and he hung up. A Teddy Bear and flowers were waiting at the door when I returned home. I assume they didn't have the giant candy filled grizzly Teddy Bear holding a batch of bear grass that I've always wanted. Later that night I went to dinner with my boss, his wife, their daughter Alicia and her friends (none of whom I advertised my birthday to). When I got to the restaurant, there was a pile of presents on the table and they all cheered as I entered. Alicia yelled guess who's birthday it is (and just before I could say mine) she said "it's my birthday" and everyone cheered. And then she said "guess who else's birthday it is?" (and just before I could say mine she said "It's Travis's birthday!" and everyone cheered including some random guy named Travis who was also celebrating his birthday. So I said "Guess who else's birthday it is? Mine!" and the cheering stopped and they all looked at me like I had ruined their fun with my ridiculous proclamation. She said "let me see your ID" and I gave it too her and she screamed and everyone cheered and we all had a drink of something that tasted like liquid cupcakes. Three birthdays - What are the chances? So the presents were not for me and I'm fine with that - honestly because I had the good fortune of having many birthday wishes - so thanks! Time to go open a package I just got. I hope it's that 48" rotating cupcake display with chocolate fountain I always wanted. UPDATE - I opened the package - My little sister sent this in the mail with 18 cupcakes (in their containers but yes actual cupcakes. It looked like a rabid possum had gotten into the dumpster at the penny candy store. It's the thought that counts. I don't always lead tours. Part of my job is to give presentations and convince people they want to leave the beach and spend the day in the swamp. So I put on my jungle hat, grab a microphone and do my thing every Monday morning. Monday being my birthday - I gave my presentation and afterwards was praised by a very nice, well-to-do woman in her sixties who said "I can tell you love what you do and that is $&@^! cool!" OK! She sent flowers gently creeping. I walked the pavement on a road to nowhere and reveled in the weeds that pushed up through asphalt the ant hills rising where cars once drove and the moon vines blanketing everything in the distance including a 20 foot tall tree of unknown species at the center of the photo. To the north by 200 miles, the Army Corps of Engineers has systematically removed 52 miles of canals and let the Kissimmee River revert to it's natural state. Along Tamiami Trail, the Department of Transportation will be lifting the road, creating a causeway and letting the water flow. And in the Picayune Strand - they are pulling up hundreds of miles of roads and canals in one of the largest (and failed) developments in US history. Eventually nature will take it back. Imagine if we ended the hostilities against her everywhere. Near the end of my trek I stopped at a berry bush and noticed a strange shaped leaf. It twitched. And then spread it's wings - as did it's mate. It was a mating pair of Julia Heliconian butterflies - members of the longwing family. The female would fly as they mated and land not far away - hoping for a safe place to work on the next generation. This bird won't be passing along it's DNA. Nothing but feathers - the predator long gone with the tasty parts. I left my forgotten road and headed west on Tamiami Trail. By the time I made it to Shark Valley, the last Tram had departed and the final bikes were rented for the day. I walked the boardwalk and the tram road, smooth and tidy - imagining future cracks - prophesying weeds. The tourists can have their pretty park. I prefer to be off the beaten path. I liked my three miles to nowhere. Happy Birthday to me! 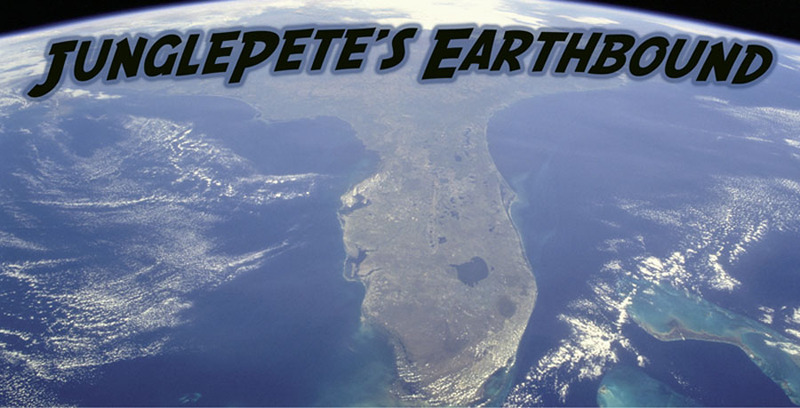 (EVERGLADES-FREE WARNING - the Everglades is mentioned briefly in this post - deal with it.) I've never been one to advertise my birthday but I must admit that I do celebrate it and try to enjoy it like anyone deserves to with a whole lot of "it's my birthday so I'm going to do whatever I want". 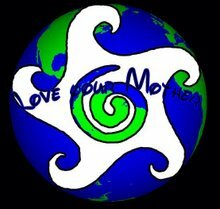 Of course I've always felt that a mother has every reason to celebrate that day as well considering the work they put in. If you're keeping track I'm 37. Which is pretty good considering the doctors didn't think I would survive through my first Christmas. I was born with something of a superpower in that I could vomit across the room thanks to a cinched pyloric valve. I survived, as you may have noticed and have enjoyed 36 Christmases/Saturnalias/Hanukkahs since. Just for fun - here's a look back at a few memorable birthdays (or the ones I have pictures of). 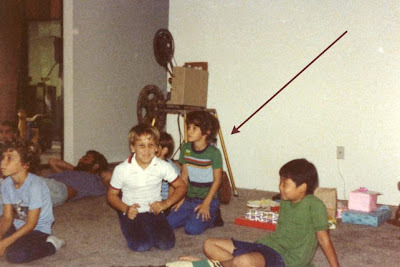 1977 - I'm the bushy-haired one enjoying Dr. Seuss' The Lorax on reel-to-reel. A movie that had an impression on me and yet continues to stress me out. "Unless"? What did it mean? I could have understood "Rosebud" but "Unless" was to abstract for me. Regardless, I speak for the trees as well as the metaphorical Barbaloots and Swamee Swams. 1979 - I hate clowns and yet celebrated my 9th birthday at McDonald's. Now I only go to McDonald's to cure the common cold. It works. Sister Tara is in the back in a Battlestar Galactica shirt. Sister Mandy trying to hog the spotlight and sister Tiffany stylin' in a McDonalds hat which she would trade in a few years later for an employees hat at the same place. As would I for $2.39/hour. 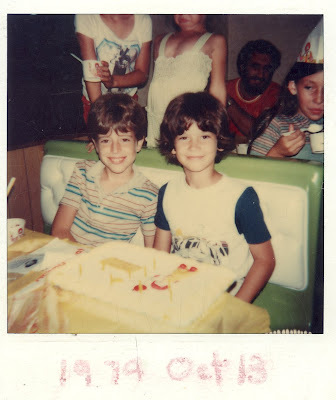 1980 - Continued the fast food themed birthday's by celebrating at Burger King and got a really cool Pac-Man glass and several Star Wars people. Times were good. 1987 - Thinking all day that everyone had forgotten my birthday - I decided birthdays were awful and cruel and I would never celebrate another. Later that night I was surprised to find my girlfriend had organized a cow-themed surprise party. I was relieved but now hate surprises. 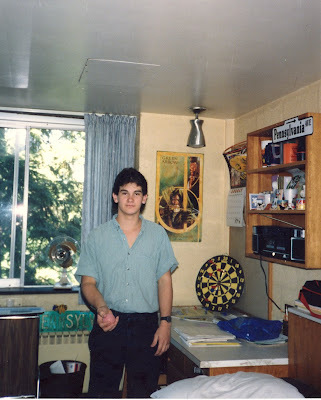 1988 - Spent my 18th at Penn State during my freshman year where I took in my first college football game (89,000 people in attendance) and was later talked down off the roof of my dorm by a a resident advisor who thought I was going to jump when in fact I was just throwing pumpkins. Kids don't try this at home. Go to college and try it. I didn't drink then and still rarely do, but I ended up in the hospital that night with a concussion after running down a water soaked hallway, sliding and landing on my head. Kids don't try this. 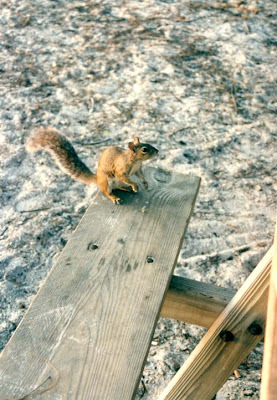 1997 - Enjoyed this one in sunny Bradenton, Florida with a friendly squirrel who was interested in the box of cookies and cupcakes I had received from home. This may be the start of what others assumed to be my love for squirrels. I don't think people appreciate them enough, but I don't love them. Or at least not like I love cupcakes. Still, my niece has found every type of nick-nack with a squirrel on it to have her mom buy and send. And I love them all. 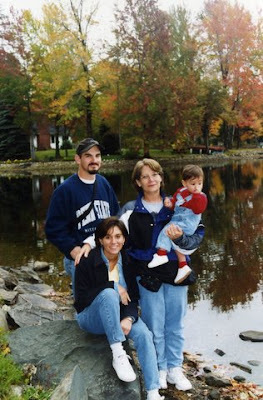 1998 - The traditional birthday during the mid to late 90's included a trip to the Gould's Orchard pumpkin patch in upstate New York. This was during the "stache" years and was just days before I pulled my snowbird routine and drove back to Florida for the winter. 2000 - The whole family was together for the big 30 and the one thing I remember above all else is watching the little sister and then boyfriend (and now husband) get into a scuffle, lock into combat like two sumo wrestlers and actually tumble down a hill like two raccoons in an over sized Wal-Mart bag. Good times. 2005 - Niece Estelle shares the same birthday and so in '05 we all trekked out to find a geocache I had hidden under a boardwalk on White Horse Beach in Massachusetts. The cache - called "The Siren of Sea" was buried under the sand during a storm back in the winter of '07. 2006 - My first birthday in another hemisphere. Ma-le and I spent a few days traveling along the coast in Ecuador, stopping in the port city of Salinas and desperately looking for Sangria which was the only thing I had hoped for. But the Ecuadorian presidential elections were on that same day and no alcohol could be served for 3 days prior to or during the election (a punishable offense that could and often does lead to incarceration). The day was redeemed when Pia and Johnny Garcia (Ma-Le's parents) had a Frutilla Cake waiting when we arrived back in Guayaquil. It was delicious. (And aren't they cute?) 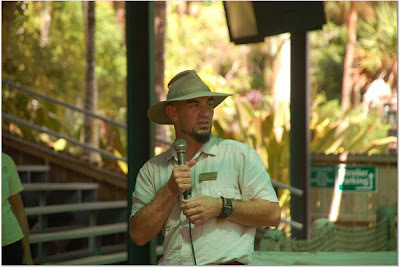 2007 - Today I'm heading over to Fort Lauderdale like I do every week and then in the afternoon I'm heading into the Everglades National Park's Shark Valley. I've been just about every where else so this will be my birthday treat. 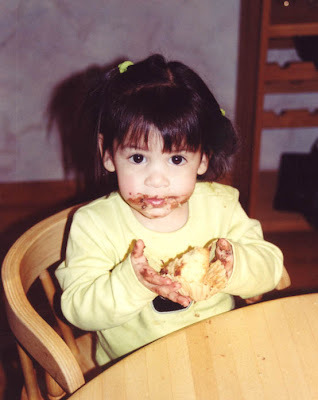 Ma-Le's in Ecuador for a few more weeks so I will have to eat all of the cupcakes and lick the bowl. mmmm. There are four venomous snakes that are found in the Everglades. Most common is the Water Moccasin (Cottonmouth). Largest is the Eastern Diamondback Rattlesnake. Most uncommon is the Coral Snake and the venomous snake most likely to bite someone? The Pygmy Rattlesnake. I hiked into the Okaloacoochee Slough on Saturday in search of whatever might be around. The water is low, but still up enough that I'd have to wade wherever I might go and the temperature is in the upper 80's. Low enough that snakes might be basking today and just my luck, I came across my 2nd Pygmy in the wild. The last time I saw one of these in the wild was 1999 on tour. It was crossing the dirt road in the Preserve and I jumped out of the van to stop the snake from slithering off. I realized that I had not put the van in neutral when I looked up and saw the van rolling towards me with 11 terrified tourists watching. This was a little less stressful. I do worry about these. They only get up to 30 inches long - so quite small and they have a wee little rattle, so they sound like a buzzing insect - not the warning necessary to keep a human from stepping on them. And because this warning system is so poorly designed, they rely on their venomous bite as a last defense - thus the high incidence of bites in Florida. I kept my distance, but was able to get close enough to get a good look at the pattern down the back. Beautiful colors. They're fairly quick, but when they are strung out like this, they don't have the ability to strike like they might if they were coiled up. It would be like putting your fist in someone's face with arm outstretched and trying to hit them. Try this now on someone. I'll wait. Here you can see the classic triangular shaped head that most venomous snakes have. Water snakes will flatten their head and mimic a venomous snake, but here the shape is quite obviously distinctive. These facial pits that create the triangular shape allow them to pick up heat signatures - seen as infrared light - and allows them to track prey. They actually will coil up and wait for anoles, frogs or other cold blooded critters to come by. If they're close enough, they strike, inject venom and wait for their prey to die. They then track them and eat them. In case you thought "pygmy" was a misnomer - the snake is in fact small as you can see here. And where's the rattle! It's virtually non-existent. The rattle is made of several hollowed out "buttons" or scales from their tail - but on pygmies it's tiny. A hunter came up as I was taking pictures and decided to "inform" me of the natural history of Pygmies. I guess I looked like a tourist with my camera. "You need one of those big cameras" he said before tromping off into the swamp to kill something. The Florida fossil record shows that mammoths, sabre-toothed cats, giant sloths and rhinos once roamed the peninsula during the last ice age and although these megafaunal species are extinct today, there was a time back in the 60's when Hippos were nearly introduced into the swamps of the Everglades. Apparently no psychotropics were involved. It happens all the time. A plant or animal is introduced into a new habitat with intent or inadvertently. Without a control - a natural predator, the new species soon dominates the landscape (i.e. european starlings, brazilian pepper trees, starbucks). Often the solution is to bring in another exotic species to control this new "invasive exotic". Water Hyacinth is a floating plant that was accidentally introduced into Florida back in the late 1800's. It spreads through seeds and rhizomes (the nutritional storage portion of the plant) and can create impenetrable mats of vegetation. Although this purple-flowered plant has been part of the Florida landscape for well over 130 years, Water Hyacinth was not a problem until excessive levels of nitrates and phosphates (used on agricultural lands) got into the watershed. During the 60's the problem became a nightmare as the pollutant loving plant spread through out the lakes and canals of south Florida and choked off water ways, slowing flows, blocking out light and causing many native species to struggle to adapt to this changing environment. So what could possibly control Water Hyacinth? What eats it? How about an herbivore of colossal proportions? Hippos! The federal government developed plans to introduce an exotic species to Florida that not only has never lived in the new world but is one of the top killers of humans in their native Africa. Eventually they thought better of this plan and resorted to heavy doses of herbicides which I'm sure had no deleterious effects on non-target species (he said with heavy doses of sarcasm). While the plant is considered "well managed" by the state today and used in the production of biogas, there are still areas where the plants dominate the waterways. I took these in Port Charlotte. It's hard to tell there is water below! All animals have some warning system that protects them from harm. Rattlesnakes rattle. Bees Buzz. Dogs growl. Monkeys throw poop. If you're fast you can run away. If you're slow you can curl into a ball and use your specialized hairs to fend off an attacker like a porcupine does. And if you're a turtle you can pull yourself inside your shell and hide right? I went hiking after work in the Estero Aquatic Preserve and was walking while fiddling with my GPS when I heard a HHHSSSSSTTT - so I screamed like a girl. I was alone. I don't need to admit this, but my honesty has been called into question (I did yell at the pig - the macaw did call me a cracker. 99% of what I relay here is the truth) but for the sake of candor I offer all details here now. I screamed like a girl. It surprised me. It surprised the massive Gopher Tortoise who thought better of his simple hiss and hold your ground strategy and he pulled himself inside his shell. I'd never heard one hiss that loud and that long and the fact that I almost stepped on this huge turtle didn't help. This place is known for a nice population of the endangered turtles. Their preferred habitat of sandy, palmetto/pine flatwoods is perpetually under attack which almost always ends up as a cookie cutter housing development. They love to dig 5-10 foot deep burrows in the ground where they spend much of their time. The rest is spent foraging for grasses, berries and the occasional flower or dead animal if it's rotten enough. They can't exactly chase it down and kill it. Although they are on the Endangered Species List, they will most likely be removed soon along with Wood Storks and Manatee. This is not because their populations are increasing since each is suffering the opposite. Instead, the Bush Administration argues that the Endangered Species Act has not provided each species with sufficient protection and therefore should be downgraded to threatened to which they also argue offers the same protection. Confused? It's like removing a "School Zone" because cars aren't slowing down anyway. Basically developers will not have to concern themselves with hissing turtles and nesting birds and boaters can go back to speeding through the gulf. So every tortoise I see is exciting and through my and MaLe's adventures we've seen a few. (Kids - don't do this) This in on the Florida Turnpike. Speed limit 70 MPH. We passed it and I realized it was a tortoise. By the time we slowed and backed up an 18-wheeler had hit it. This one chose a back road in Punta Gorda and enjoyed a better fate. I stopped and made sure he made it before I let anyone pass. On my way out of the preserve today - I spooked a Marsh Rabbit who bolted into the palmettos. I didn't scream.